Chef Argondizza has been cooking professionally since 1979. At ICC she leads a team of 50 culinary and pastry chef-instructors and oversees the daily menu of the award-winning restaurant L’Ecole. 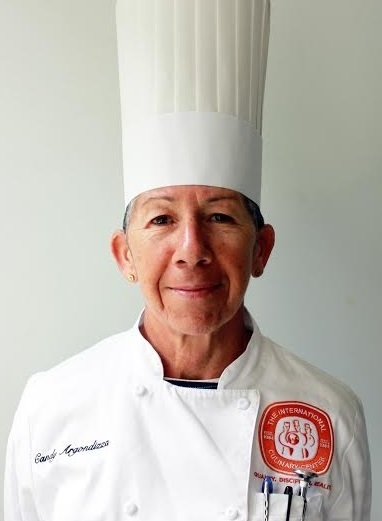 She was chosen in 2012 as “Best Cooking Teacher of the Year” by the International Association of Culinary Professionals. While attending college, I got a job cooking and realized that this is what I was meant to do. The rest is history. Tell us about ICC. What inspired the idea and what is your vision for the Center? 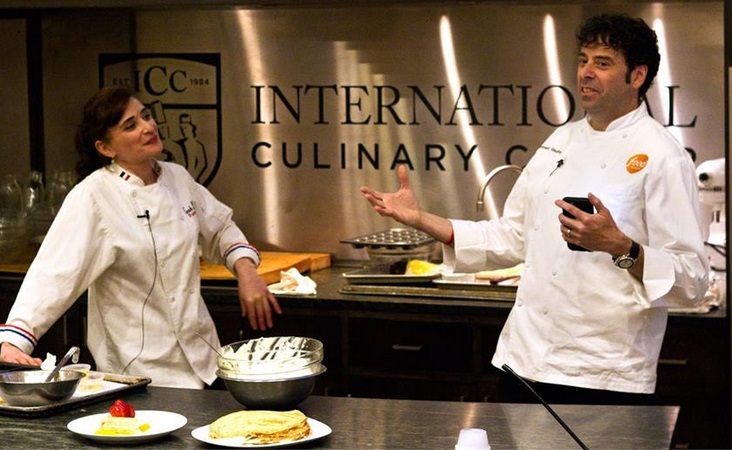 ICC is a fast track immersion cooking school in NYC and Campbell, CA. I started teaching here in 2000. Teaching what something I had often thought about and after cooking in restaurants for 20 years, I was ready for a new challenge. An opening at the school was available and a friend of mine that taught at the school called me so I interviewed. It was a fairly seamless transition, I loved sharing what I knew yet constantly learning more. Working with the students was extremely rewarding and invigorating. I worked my way up to the VP of Culinary and Pastry, 2 years ago. My vision for the ICC, is to continue to prepare our students for an evolving industry, to be thought leaders and to be successful. What strategic partnerships/marketing strategies have you implemented that have attributed to ICC's success? We are always evaluating our curriculum, whether to include modern technology or Meatless Mondays or farm to table responsible buying and sourcing, which I think sets us apart. Our core strength is to teach techniques. If a student can learn techniques in culinary or pastry arts, then they can cook any cuisine and grow into whatever role they choose to pursue. We follow trends but only ones that have substance. Your greatest success as Vice President of Culinary and Pastry Arts of ICC? Most difficult moment-how did you overcome and what did you learn? My greatest success is changing people’s lives through education and teaching them their craft. I work in a very dynamic environment, with lots of changes. I’ve learned that if you’re not moving forward, you’re standing still. I’ve learned to embrace change and work through difficult times. To show up and work hard. It will always pay off. Describe the ideal experience at ICC. Seeing someone get it, when that light bulb clicks in their head and a connection is made. I love to see students grow and absorb information. How important are architecture/design to the success of a restaurant? A restaurant is a living breathing thing. Every facet is important, from the design, the lighting, the smell, the food, the service, how someone answers the phone, everything. The design should illicit a response when a customer walks in. All of these considerations need to be thought through from concept to execution. I love working with and eating all types of fish and seafood, simply prepared. A sautéed piece of fish with a brown butter and a glass of wine. I try to stay positive, consistent and lead by example. Nothing is below me, I will do whatever needs to get done. Cappellini marinara, and a bottle of Barolo. West coast skiing or warm sunny beaches. Training the future chefs and thought leaders of the world.